First American dancer to ever graduate from the Bolshoi Academy says the theater asked her for thousands to get the part she wanted. An American ballet dancer famous for becoming the first to study under contract with the Bolshoi has accused theater employees of demanding $10,000 from her to dance as a solist with the company. Joy Womack told the newspaper Izvestia that she was asked to dance as a soloist with the company. This amount was announced by a specific person, but I will not name him – because I really respect him,” she said. Vladimir Urin, the general director of the Bolshoi Theater, said the theater was ready to cooperate in the investigation: “The leadership of the Bolshoi Theater, if necessary, is ready to assist law enforcement authorities in the investigation of all the circumstances of this case.” In addition, Urin advised Womack to ask the police for a further investigation. However, the ballet dancer is not going to sue the employees of the Bolshoi Theater. “I want to forget all this like a bad dream,” she said. After being fired from the Bolshoi, she signed a contract with the Kremlin Ballet, which performs in the Kremlin Palace of Congresses. 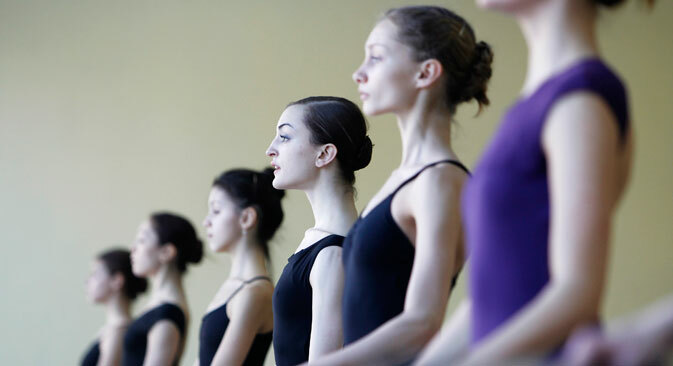 Womack joined the Bolshoi Academy in 2009 at the age of 15 after meeting with the rector of the Moscow Academy of Choreography, Marina Leonova, during a tour by the Bolshoi in the United States. She has said she dreamed of studying in Russia before, and even studied in the Kirov Ballet Academy in Washington that, in her opinion, was like the Vaganov Academy in St. Petersburg. After graduating from the Academy of Choreography in 2012, the Bolshoi signed a contract with Womack and she began working in the corps de ballet. Now, after being fired from the Bolshoi, Womack said the theater started demanding money for solo parts. Womack said her troubles began after Filin returned to the company. Filin, who has served as the artistic director of the Bolshoi Ballet since 2011, was attacked in January 2013, when he was attacked with acid by an unknown assailant. Filin has been undergoing treatment in Gernany and was not available for comment on Womack’s accusations. Marina Kondratyeva, Womack's teacher and the choreographer and coach of the Bolshoi Theater, said she believed life at the Bolshoi was difficult for the American dancer. Kondratyeva also said that all novice artists have to go through the corps de ballet and should not feel offended. Colleagues and ballet lovers had different reactions to Womack’s accusations.